Fort Worth & D. C. Ry. - Colorado & Southern Ry. Colorado Midland Ry. - Cuba Railway. 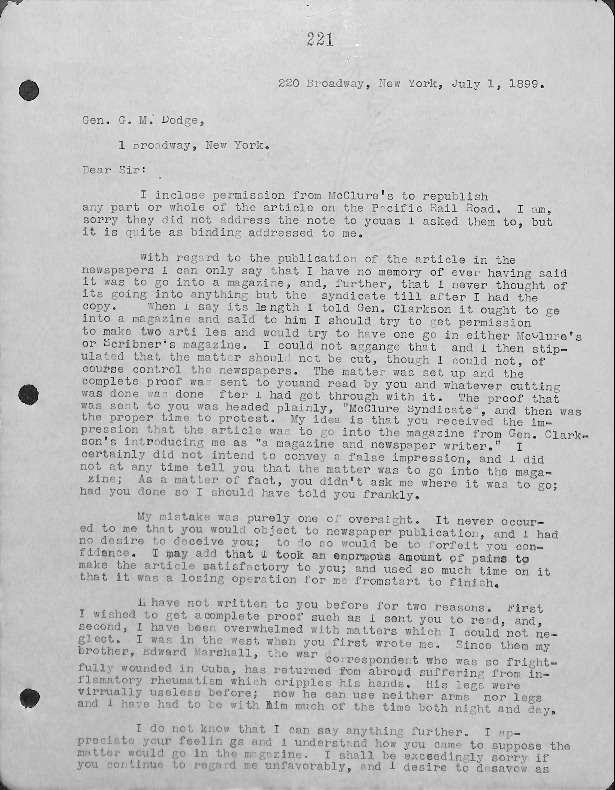 President of the Commission to Investigate the conduct of the War Department in the War with Spain. - Death of Col. James A. Sexton. U.S. Senator for Iowa,, John R. Geer - Court of Inquiry upon General Nelson A. Miles. - D.B. Henderson a Speaker of House of Representatives. - The Philippines. - Trip to Rowley. Army of Tennessee. - Mrs. U.S. Grant on appointment of Fred D. Grant, Brig. Gen. Regular Army. - 70th Birthday. Trip to Europe and Worlds Fair at Paris - Address on Brig. Gen. Marcellus C. Crocker. 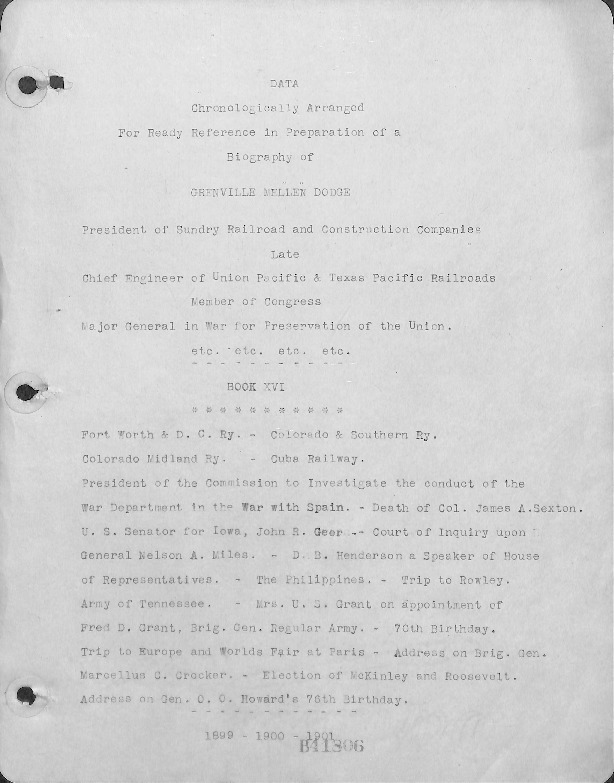 - Election of McKinley and Roosevelt. Address on Gen. O.O. Howard's 76th Birthday. 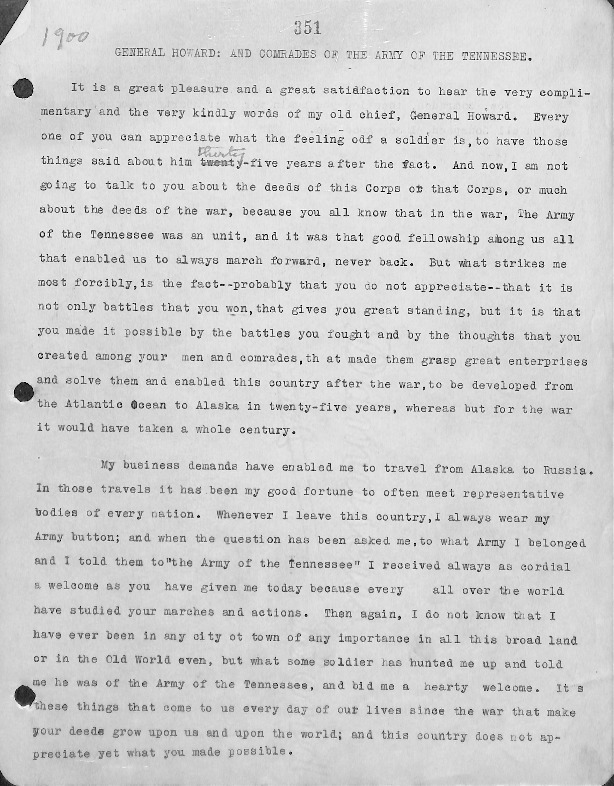 Library Special Collections, “General Dodge Papers - Book XVI part 1,” Council Bluffs Public Library, accessed April 21, 2019, https://www.councilbluffslibrary.org/archive/items/show/4661.